If you’re looking for a professional kitchen hood cleaner in the Denver, Colorado area, look no further. ProCo Hood Cleaning in Denver, Colorado can address all of your commercial kitchen hood cleaning needs and more. 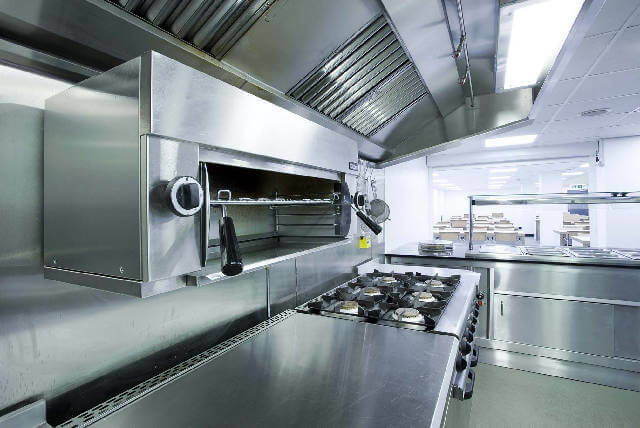 Having a functional and clean commercial kitchen is an important part of passing inspection. In fact, many insurance companies, fire marshals and board of health inspectors require that you have your exhaust hood system cleaned regularly. Without a regular hood cleaning done by professionals, your restaurant is at risk for fire or contamination of hazardous bacteria. For specific details about hood cleaning requirements, consult your local board of health or insurance company. They can tell you about kitchen hood cleaning requirements and regulations. Don’t be ashamed to ask questions. You’re only trying to do your business some good. You can also look over the Colorado.gov website here. 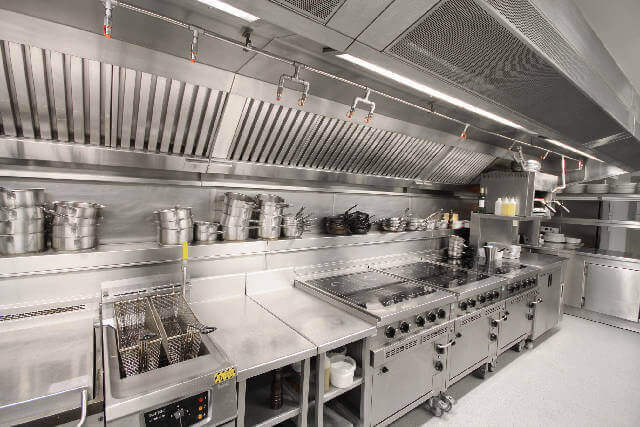 A kitchen hood system ensures that your restaurant is able to work and function properly. If your restaurant does a lot of frying, your hood system will be used more. The hood system separates the grease from the smoke and properly directs the fumes to the outside of the building (this is why on Friday nights we can smell steaks and fried potatoes for miles). By doing this, your hood system is preventing the grease and smoke from flooding into your restaurant and running all of your customers out the door. Oh, and it’s preventing a potential fire too. If you’ve been in the commercial food business for long, you know that grease can be a royal pain. It seems to be everywhere. It’s on the floors, the walls, the equipment, and when you go home at night, no offense, but you probably smell like a ball of grease when you leave too. It’s an inevitable part of the commercial food business, and it’s a beautiful thing. Except the inspectors may not agree. So that’s why we’re here. WE DON’T JUST COME WITH A BOTTLE OF SOAP AND WATER–WE’LL SEND A PROFESSIONAL KITCHEN HOOD CLEANER. ProCo Hood Cleaning is a team of trained hood cleaning professionals in the Denver, Colorado area. Our team doesn’t just come in with some rags and a bottle of soap and water. We have trained extensively to become certified kitchen hood cleaners. We’re educated on fire awareness and hazardous materials. 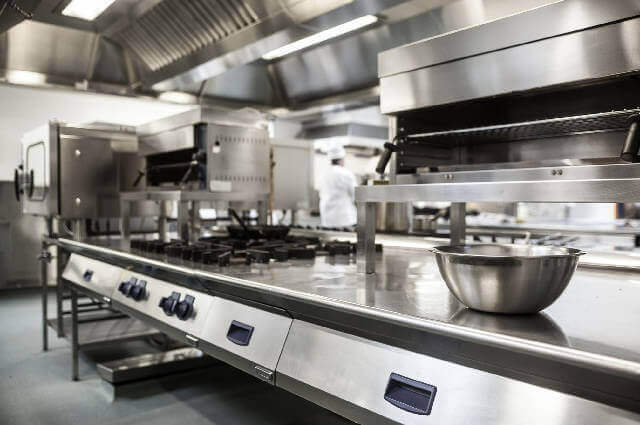 Our professionals are aware of the local code and can ensure that your restaurant meets the local board of health standards for commercial kitchen hood systems. When you can no longer scrub the grease residue off of your kitchen hood system with daily cleaning, it’s time to call a professional kitchen hood cleaner. We are proud to be your Denver kitchen hood cleaner. Health inspectors, fire marshals and your insurance company may require that you have your kitchen hood system cleaned regularly. “Regularly” is a gray area for many businesses. It all depends on your business and just how much frying you do/how often your kitchen is running. As a general rule, a regular kitchen hood cleaning can be defined as about every 90 days. However, some restaurants that don’t fry as often can go as long as a year–though that’s not common. IS THAT BARBECUE SAUCE ON THE CEILING? OR SHOULD WE BE CALLING CSI? Sometimes we think it would be really funny to be a fly on the wall in a commercial kitchen. C’mon, we know the truth. It’s total chaos back there. It’s like behind the scenes of a play. Cooks are cooking, waitresses are running around 90 miles an hour, chewing out the cooks, food is flying everywhere, plates are dropped, etc. Yet the moment a waitress or waiter enters the dining room, they wear their best smile and do everything in their power to ensure the customers that everyone has their, er, “stuff” together. The point is that a commercial kitchen can have a pretty big mess to deal with at the end of every shift. Unfortunately, not everyone can scrub the ceiling and the walls every night before they leave. That’s why ProCo Hood Cleaning does more than just clean kitchen exhaust systems. We can use our pressure washing and steam cleaning technologies to leave your kitchen sparkling like new. We can also inspect and clean kitchen equipment. When we do any type of cleaning at your restaurant, we will always do an overall inspection before beginning work. During our inspection we will determine any potential fire hazards or risks. We will look for any risk factors or malfunctions, and inform you of our findings before we begin any work. People like you make it possible for us to do what we do every day. Your satisfaction is important to us and we will always treat you with respect when we are on the job. We will be professional, clean, and dependable partners. So let’s do business together. Call us now so that we can send a kitchen hood cleaner your way. Hood Cleaning is our life!